I’m starting a brand new series of posts here on Woo! 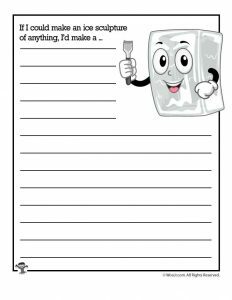 Jr., – printable story starters! 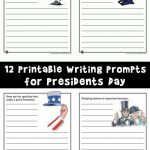 These fun writing prompts make great handwriting practice plus sentence composition. 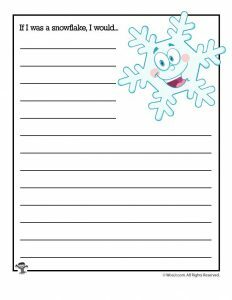 Use them for quick classroom filler activities or writing homework! 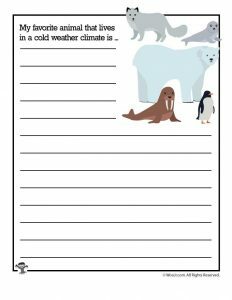 Each series of printable story starters will tie into a particular theme. 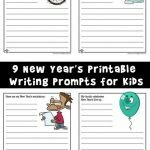 They include a fun prompt and a cute picture to help spur ideas. 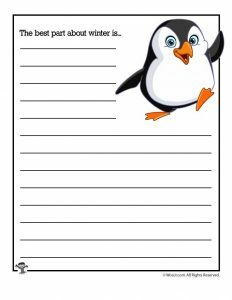 Teachers seem to be especially liking these printables in the classroom, but there’s nothing to stop parents from using them at home. This set is all about winter! 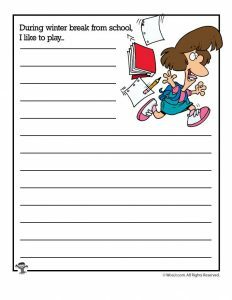 Some of the story starter printables are serious, like talking about your favorite Olympic activity. Others are downright silly. One of my favorite Father’s Day story starters has kids imagining what it would be like if their dad was an alien! 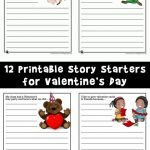 Whether straight-laced of totally goofy, though, all of the story starters are meant to encourage kids on the path to reading and writing. 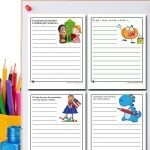 Make the activities fun to foster a love of storytelling within them, and “accidentally” get some handwriting, spelling, and vocabulary practice in, too. They’ll never realize they’re learning because they’ll be having too much fun with their imaginations. 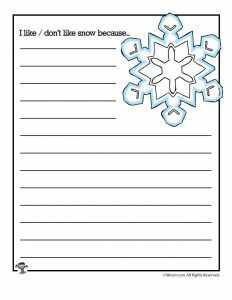 You might also like our winter mad libs or winter word puzzle worksheets! 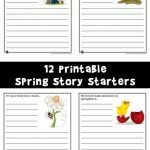 Story starters like these can be great family activities, too. 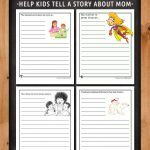 Have every member of the family write their own story based on the same prompt and then read them together to see how you each took a different direction with it. 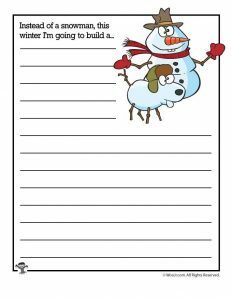 Or, have the kids do a story for each major holiday and/or event during the year and then compile them together into an annual book. 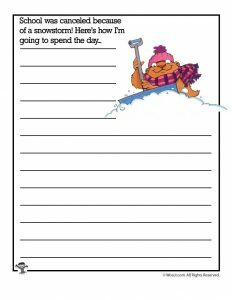 How much fun would that be to look back on later? 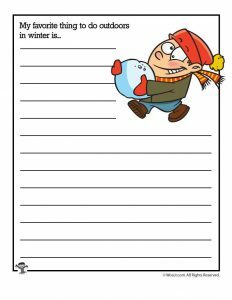 With some creativity, you could even turn them into a calendar for the next year, each month represented by a different story!